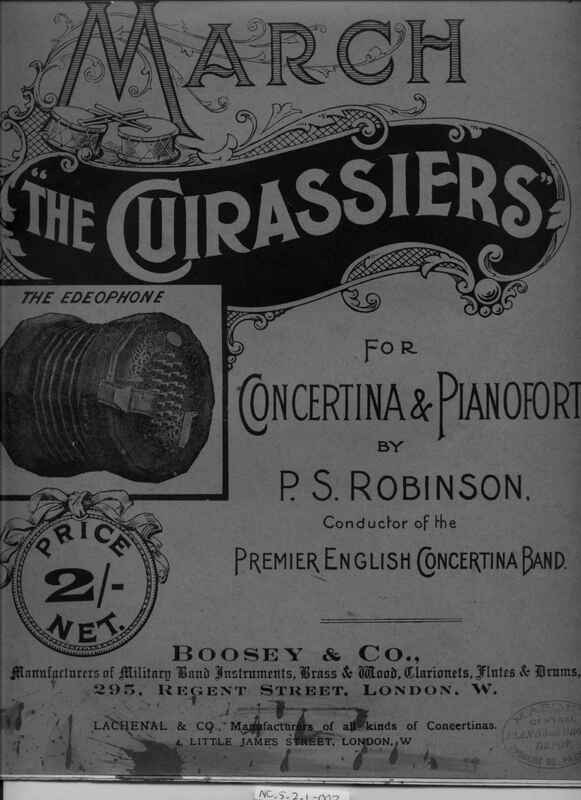 Full Description: A large pink-board bound copy of “March: The Cuirassiers – for Concertina & Pianoforte, by P S Robinson – conductor of the Premier English Concertina Band.” The piece is published by Boosey & Co, 295 Regent Street, (No H.7489) and has sponsorship from Lachenal & Co, whose Edeophone is illustrated on the covers, as is their4 Little James Street, London W address. 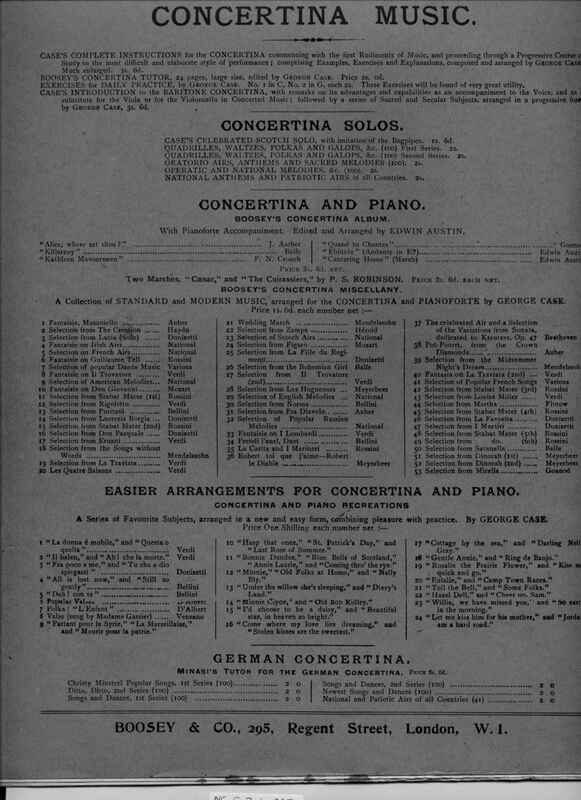 The rear cover has a detailed listing of all of Boosey & Co’s Concertina Music, and measures 255 x 310mm, numbered in ink ‘42’. The Premier Band’s promotional Postcards were also imprinted with Lachenal & Co’s details, and two are in the Collection at NC.3.2.1.2-002 [http://www.concertinamuseum.com/NC3020102-002.htm] and NC.3.2.1.2-008 [http://www.concertinamuseum.com/NC3020102-008.htm].